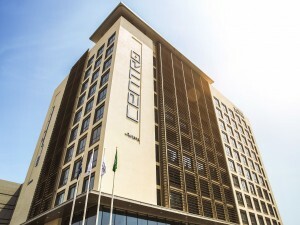 Rotana and SHUAA Capital Saudi Arabia, officially announced the opening of Centro Shaheen Jeddah, the group’s first property to open under ‘Centro by Rotana’ brand in the Kingdom of Saudi Arabia. SHUAA Capital is the Fund Manager and Developer of this joint project. Located on Madinah Road, just 20 minutes away from King Abdulaziz International Airport, Centro Shaheen offers 252 rooms and studios all in a contemporary and stylish setting. Great care has also been taken to optimise room configurations and styles. Some of the special features include the design as well as innovatively styled bathrooms, and the latest technology and in-room entertainment options. Addressing the official opening, Omar Al Jaroudi, CEO of SHUAA Capital Saudi Arabia said that they are witnessing a significant milestone that is the launch of Centro Shaheen Jeddah, one of the joint projects courtesy of the strategic SHUAA Capital Saudi Arabia and Rotana collaboration. This great hospitality product and brand, is expected to be a key contributor to the Kingdom’s already bustling leisure and hospitality sector. Having already proven a unique concept in the United Arab Emirates and Qatari markets, the Kingdom of Saudi Arabia was only the next natural step for this admirable lifestyle brand. Recent reports show that the much-applauded Saudi Vision 2030, which has captured world attention, lends strong support to the hotel and tourism sector as a significant source of investment, while promising job opportunities in a series of sweeping economic reforms. Following a massive renovation program, Sheraton Hotels & Resorts reopened with newly transformed guestrooms, public spaces and food and beverage offerings. 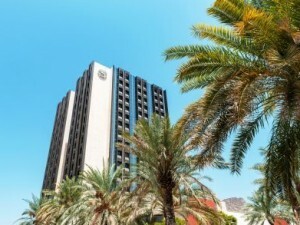 Owned by Al Hashar Hotels LLC, under the umbrella of Al Hashar Group, and in association with Twenty14 Holdings, the 230-room hotel has been a landmark in Muscat for over three decades ensuring guests can experience more in the heart of the city. Speaking on the occasion, Sheikh Al Muhannad Al Hashar said that Sheraton Oman, the tallest building in the country, has played a key role in shaping the hospitality sector in Oman since it first started business in 1985. The hotel interior has been completely redesigned, leaving the exterior shell as it is. With this magnificent transformation, the hotel is well positioned not only to be a leader in the sector but also to support the efforts of the Ministry of Tourism in promoting the country’s tourism potential at the international level. Significantly, with the Sultanate all poised for a long-term, major growth in the MICE segment, Sheraton Oman’s enhanced conferencing facilities are sure to add great value to the future of tourism. For business travellers, the hotel offers nine meeting rooms, two boardrooms and the Oman Ballroom which is designed to pay tribute to the splendour and generosity of Omani hospitality. With a capacity to host large events of over 1,000 guests and smaller intimate gatherings as well, Sheraton Oman is the perfect choice for both private celebrations and business functions. More than 100 delegates from 60 member hotels around the world are currently attending the Preferred Hotels & Resorts 2016 Global Conference taking place for the first time in the Middle East, at Palazzo Versace Dubai, from October 12-16, 2016. Lindsey Ueberroth, President & CEO, Preferred Hotels & Resorts, stated that the decision to host their 2016 Global Conference in Dubai gives them an ideal opportunity to underscore their strategic plans for growth and to provide further support to their partners in the region. The announcement was made stating that 22 new properties are in the offing in the region. Also the appropriate time to recognise the exceptional growth of the tourism sector throughout the Middle East, especially in the GCC countries, as their respective governments try to diversify their economies away from hydrocarbon receipts, affording great opportunities for all of their members. Dubai has emerged as the undisputed tourism hub, with overnight visitors expected to touch 15 million in 2016, and targets to attract 20 million visitors per year by 2020 plus an additional 5 million visitors expected for Expo 2020 itself. 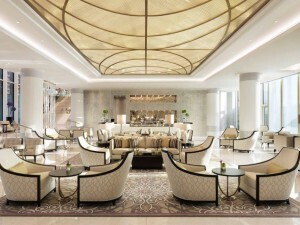 The first Four Seasons was unveiled in Abu Dhabi at Maryah Island. The 34-storied hotel has 200 rooms including 38 suites with a collection of six dining concepts, a spa, rooftop pool and venues for business meetings, weddings and social functions. The location is targeted at both the leisure and business traveller. 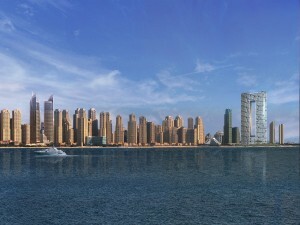 The location is at the newest financial free zone in Al Maryah Island Abu Dhabi. The opening ceremony was held on Monday October 3, attended by Khaldoon Khalifa Al Mubarak, Mubadala Group CEO and Managing Director; Waleed Al Mokarrab Al Muhairi, Mubadala Deputy Group CEO & Emerging Sectors CEO; Ali Eid Al Mheiri, Executive Director, Mubadala Real Estate & Infrastructure and Simon Casson, President, Hotel Operations, Europe, Middle East & Africa, Four Seasons Hotels and Resorts. The ceremony featured speeches from Four Seasons Hotel Abu Dhabi management and Mubadala executives. Hamptons International has been appointed as the exclusive sales and marketing agent of The Address Residences Jumeirah Resort + Spa located at the end of the Jumeirah Beach Residences (JBR) in Dubai Marina. 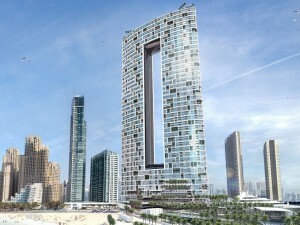 Hamptons International is exclusively responsible for the freehold sale of the residences and serviced apartments in the iconic high-rise, the tallest on Jumeirah beach, directly overlooking the Arabian Sea, Dubai Marina and Ain Dubai, which is set to be the world’s largest Ferris Wheel. Within walking distance of the Dubai Marina Walk, Jumeirah Beach Walk and The Beach, the new property stands out for its shimmering façade and elegant architecture. The two-tower development, each with 74 storey rising over 290 meters high, has a distinctive ‘white space’ carved out in the centre. One tower will be dedicated for the residential apartments, ‘The Residences Jumeirah Dubai, Managed by the Address.’ The second tower features The Address Jumeirah Resort + Spa with 182 rooms and suites, and The Address Residences Jumeirah Resort + Spa, which comprise serviced apartments fully served by The Address Hotels + Resorts, the flagship hotel brand of Emaar Hospitality Group. Marriott International has completed its acquisition of Starwood Hotels & Resorts Worldwide, creating the world’s largest and best hotel company. Marriott Rewards – which includes the Ritz-Carlton Rewards – and SPG are the most recognized and awarded loyalty programs in hospitality. In the MEA region, their newly combined portfolio consists 238 hotels, 51,877 rooms, in 30 countries. They have effectively doubled in size overnight (from 25k rooms to almost 52k rooms). In the pipeline are a further 155 hotels and 37,677 rooms by 2025, introducing a further 5 new brands to region, namely Bulgari, EDITION, AC by Marriott, Element and Fairfield Inn. By 2025 it will be in 38 countries, almost 400 hotels, and well on its way to 100,000 rooms and further there are significant growth synergies between the brands and the combined company to focus on expending brands across the region, looking for opportunities in new markets. Emaar Hospitality Group has unveiled the first and only beachfront resort property under its flagship Address hotel brand in Dubai – The Address Jumeirah Resort + Spa, managed by The Address. The Address Hotels + Resorts will manage the 182 room hotel, serviced residences and residential apartments in the spectacularly designed towers. At a height of over 290 metres, the majestic development, with a shimmering façade opening to the Arabian Sea, is located at the end of the Jumeirah Beach Residences in Dubai Marina. Offering an unbeatable value proposition and exceptional lifestyle choice, the thoughtfully designed residences and serviced apartments will open for sale shortly. Appealing to both leisure and corporate travellers, The Address Jumeirah Resort + Spa is set apart by its distinctive location overlooking the Ain Dubai (Dubai Eye) and with direct access to Sheikh Zayed Road. It celebrates a never-before lifestyle choice with attractions including a rooftop infinity pool, 100 metres of beach frontage and exclusive F&B concepts including a lounge at the highest level. Mövenpick Hotels & Resorts opened the doors to the Mövenpick Hotel City Star Jeddah, an European-style property in one of Saudi Arabia’s fastest-growing cities. The 228-room property, which marks the Swiss hospitality firm’s third hotel in Jeddah and 11th in the Kingdom, seamlessly blends a classical interior design with a contemporary façade and the latest modern comforts. Located near to both the Al Harthy Exhibition Centre and Mall of Arabia, and just a 15-minute drive from King Abdulaziz International Airport, the five-star hotel meets the diverse needs of business, leisure and MICE-related travellers. The deal to manage Mövenpick Hotel City Star Jeddah has been signed with AlTayyar Travel Group, a major player in the Middle East’s tourism industry and the only publicly-listed travel group in Saudi Arabia. There are three restaurants from which to choose, including all-day dining outlet Al Deira, the glamorous Al Moltaqa Café, and Al Zohoor Garden located next to the rooftop pool. To celebrate the opening of Mövenpick Hotel City Star Jeddah, the property is offering a 25% discount on reserved room prices, which start at SAR 700 per room, per night. Marriott Hotels, the signature brand of Marriott International, and Marriott Executive Apartments, Marriott’s extended stay product, have opened their doors in Abu Dhabi. The Marriott Executive Apartments Downtown Abu Dhabi will appeal to both business and family travellers with 64 fully serviced one, two and three bedroom apartments offering space, ambience and the privacy of residential living, with 5 star hotel service and facilities, enabling a comfortable stay away from home. Located in the heart of the UAE’s capital, the hotel and apartments, developed by Bloom Holding, give guests the amenities they need to achieve a brilliant stay in Abu Dhabi. Presenting a completely new hotel experience for today’s modern traveller, the 5 star Marriott Hotel Downtown Abu Dhabi is an exciting new travel destination that exhilarates the mind through a marriage of sophisticated design and innovative functionality. 315 spacious guest rooms and suites feature modern amenities and smart technologies throughout while the hotel’s extensive meeting space is tailored to today’s meeting requirements. Supplemented by unique dining and wellness options, the hotel is set to become a local hub for business and leisure as well as a global MICE destination.